Nations can brighten up the holidays of other nations. Columbia, seeking to smooth over some holiday sadness in its South American neighbor Venezuela, has sent two trucks packed with ham — a traditional holiday food in the beleaguered country — over the border as a gesture of goodwill, while two more trucks are set to follow. Darkly citing "international sabotage," Venezuelan President Nicolas Maduro had decried a lack of the cultural holiday staple, and expressed his thanks to the government of Colombian President Juan Manuel Santos for the gift, as trucks rolled across the border, headed for Caracas. Angry Venezuelans took to the streets again over the holidays after ham, promised as part of a government subsidized food program, failed to materialize. 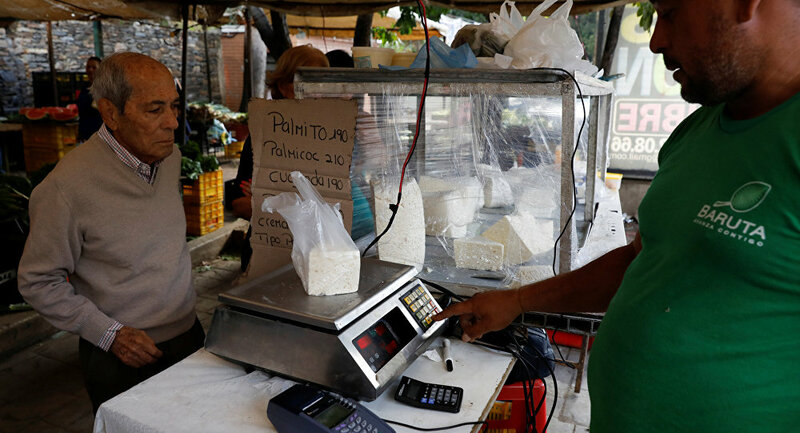 Venezuela is facing the most dire economic crisis of its history as global oil prices have dropped precipitously over the past three years, and inflation has destroyed much of the country's social infrastructure.